When it comes to countertops, there are a lot of aspects to consider: material, color, thickness, maintenance, durability. 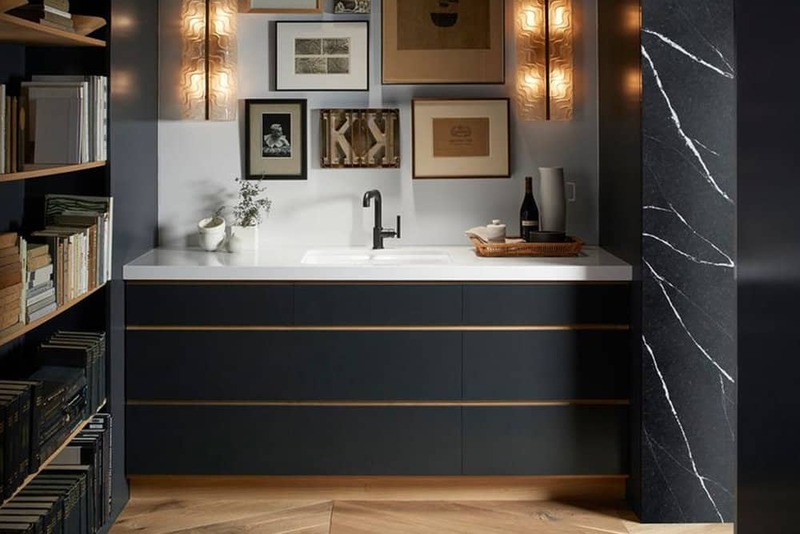 Most people debate whether their kitchen and bathroom countertops should be either granite or quartz, but there’s another material out there that deserves recognition. It’s called Corian and is produced by DuPont. What’s so incredible about Corian countertops is its versatility. Let’s breakdown why. 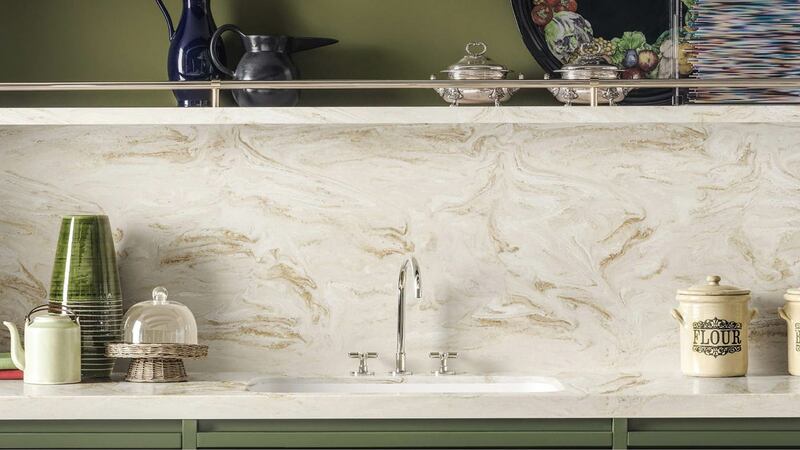 Although Corian countertops share some features with other stones, such as quartz, this material’s uniqueness far exceeds any competitors. Let’s delve into this a bit more. Yes, there are a variety of colors, but we’re not just talking about black versus white versus gray. 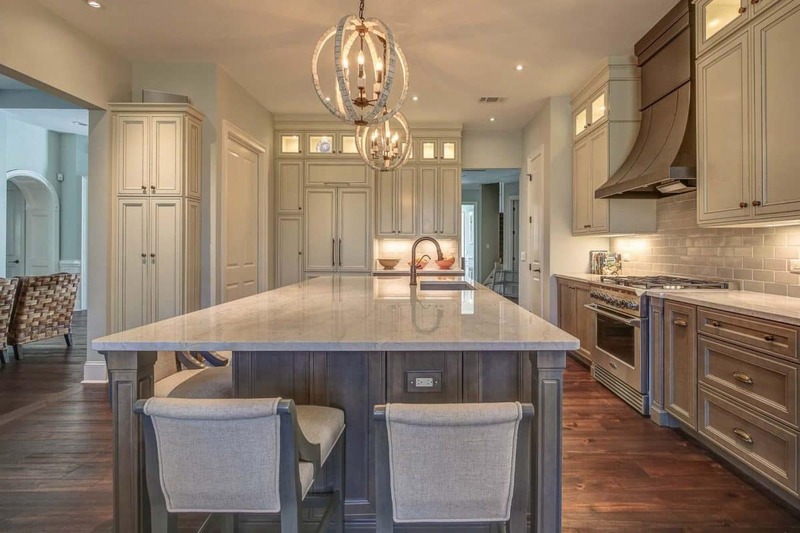 We’re talking about bold colors, pastels, neutrals, custom colors based on samples you provide, and even the ability to mimic the look of granite or quartz or wood or whatever your heart desires! Given its man-made nature, Corian can be created to not only reflect a range of colors, but also a range of looks and textures, including veining, translucency, and degrees of graining. Using special machinery and technology, Corian can be molded to various shapes when heated. The edges can be rounded, the surface can be given raised and unique textures or the entirety can be covered in interesting patterns. Corian countertops are also called solid surface countertops. The seamless characteristic means that professionals can create and install large designs from a “single element,” meaning no dips, bends, or anything that could trap dirt or bacteria. The durability of other countertop materials vary, but Corian is the toughest material around. No cuts. Daily use holds no power. It’s non-porous. There are no joints, so no bacteria or dirt can linger. It has no chemical vulnerabilities, so you don’t have to worry about using special cleaners. When Corian is clean, it actually is. Given its non-porous and hygienic nature, you don’t have to worry about any mold, mildew, or bacteria. Perhaps this is one of the most unique features of Corian. Any marks or stains can be easily removed with a generic cleaner and sponge. If you like mixing different materials in your home, Corian works well metals, wood, glass, or even natural stone. Since you get to create the Corian countertop you want, you can build a countertop that matches perfectly with your other preferences. Looking to enhance your backyard? Create an outdoor kitchen using Corian countertops. This material has low moisture absorption (which is perfect for those humid days). Exposed to the elements, Corian will remain. Since you can make Corian as translucent as you’d like, the material can be manipulated enough to hold screens and controls. 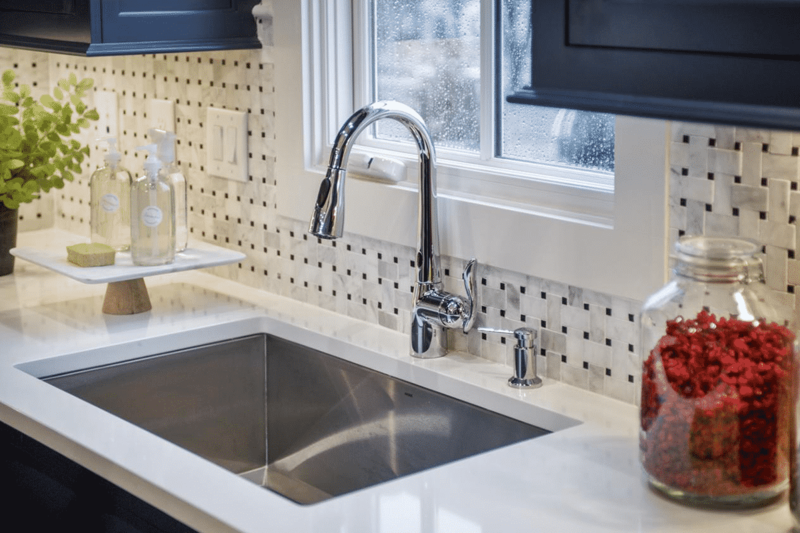 Obviously, we could talk about Corian countertops at a (greater) length, but if you’re interested in learning more, just call and speak with one of our countertop specialists today! Are you building a new house or renovating your kitchen and want to learn more about your Corian countertop options? MultiStone has a wide number of styles and our countertop experts can help design and install the perfect countertop for your kitchen or bathroom.